iLoveToCreate Blog: CRAFTY CHICA: My new products at Michaels! Plus a tutorial! CRAFTY CHICA: My new products at Michaels! Plus a tutorial! I'm super excited to announce that the new round of CraftyChica™ products are now on sale at select Michaels stores! 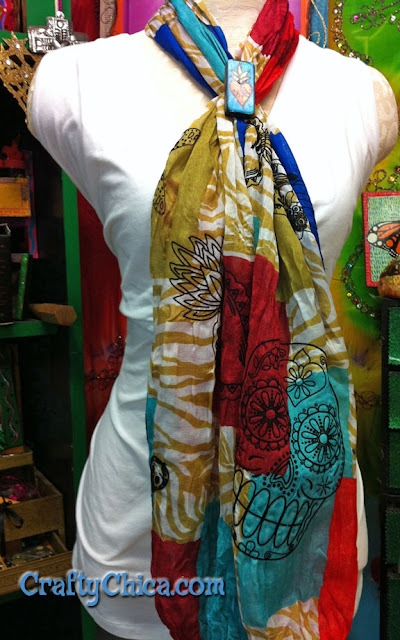 Click here to read about the Crafty Chica California Road Trip Tour! 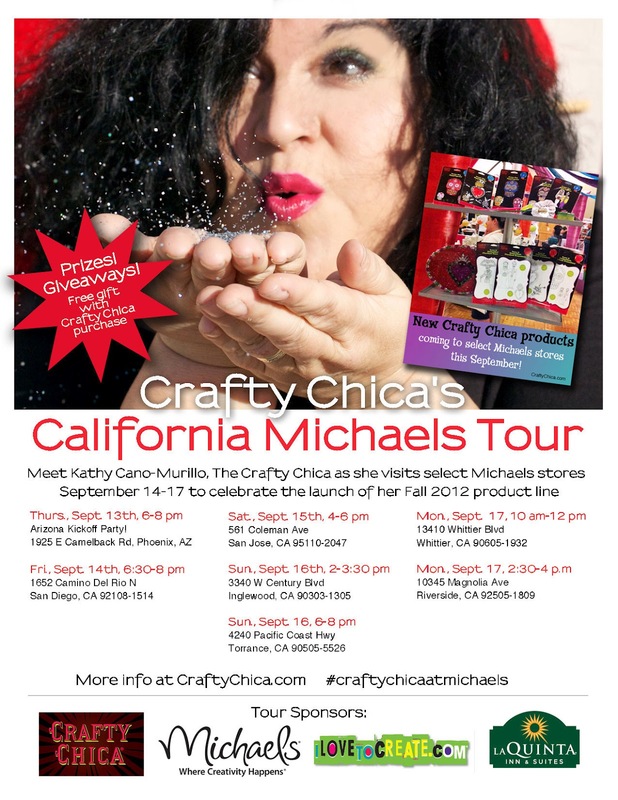 To celebrate the launch of the new Crafty Chica Dia de los Muertos craft line at Michaels, I'm going on a Crafty Chica California Tour, sponsored by iLoveToCreate, Michaels, and La Quinta Inn & Suites, for a series of personal appearances at select locations! If you live in Phoenix or California, I hope you come visit me! For those who attend - we're going to have a special gift if you purchase Crafty Chica products, plus freebies: commemorative Crafty Chica temporary tattoos, buttons and more! I'll also have a display of finished craft projects showing what you can do with the products. Oh, and I'll have books too! There is limited supplies of the goodies, so get there early! Click here to see if your local Michaels store is carrying the line. Now wait, what if you don't live near one of the stores that sells the products? You can buy the items online at iLoveToCreate.com (should be posted soon). Now, I'm going to have fun on this road trip. I'm making special pieces of art and will be leaving them along the way throughout the tour in random places. I'll be posting the locations on my Instagram and my Facebook page - so if you live in Phoenix or California, stay tuned, you might score one of them! If you do, share a photo on my Facebook page! Lastly, I have to give special thanks to La Quinta Inn & Suites for sponsoring this tour. They are providing us rooms each night, we couldn't have done it without them! And also, gracias to iLovetoCreate and Michaels for making it all happen! Monday, September 17, 2:30-4 p.m.